The remaining excavation and grading between 15th and 18th Streets South will occur after the bridge demolition over 18th Street is completed. 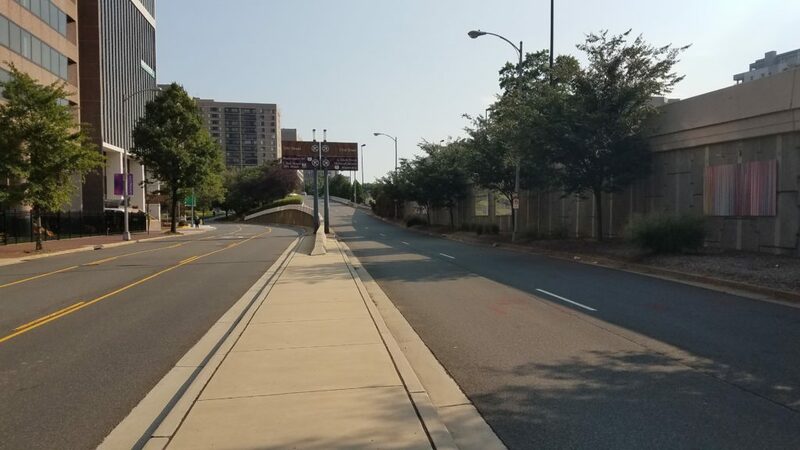 The contractor is completing the process of obtaining permits from WMATA to start the demolition of the 18th Street bridge. Crews have completed installation of the storm drain system north of 15th Street South. The area north of 15th Street has been graded to finished levels and the contractor is coordinating landscaping work for that area. The traffic signal and street light installations are anticipated to resume soon. 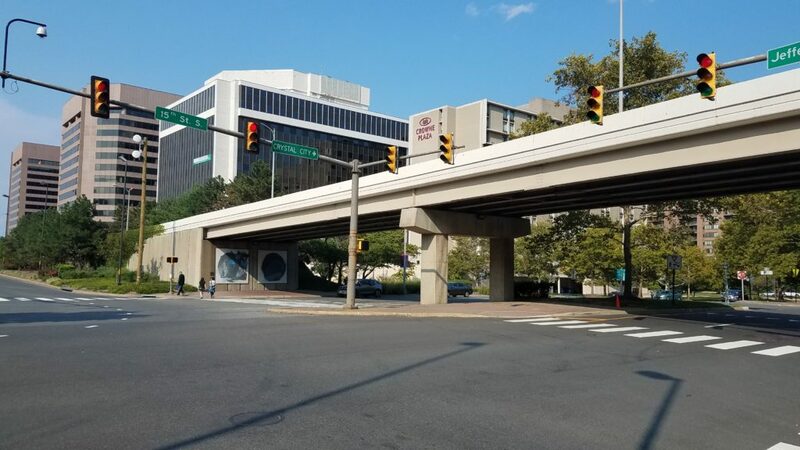 The next detours for this project will occur during removal of the Clark Street bridge over 18th Street South. This work has not yet been scheduled, but there will be a two-week advance notice before the detour starts. The demolition project started in January 2018. Completion is scheduled for summer 2019. Throughout the project, some detours will be in place to accommodate removal of the bridge structure. Details will be posted on this site as the temporary street closures are scheduled. The at-grade portions of 14th Road South (between 12th and 15th Streets) and South Bell Street (between 15th and 18th Streets) will remain open throughout and after the demolition. East-west pedestrian access under elevated Clark Street will be maintained throughout the duration of this project. 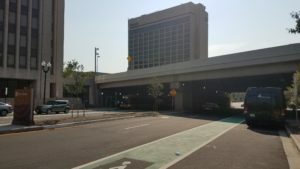 During removal of the bridges over 15th Street and 18th Street, one side of the sidewalk under the bridge will be closed but the other side will remain open. 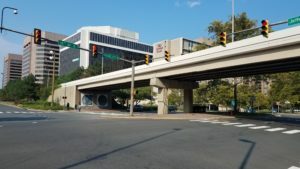 The elevated portions of South Clark-Bell Street will be demolished north of 18th Street South. South of 18th Street, new open space will be created in the existing roadway right-of-way, and new sidewalks, landscaping and lighting along US Route 1 will be provided. 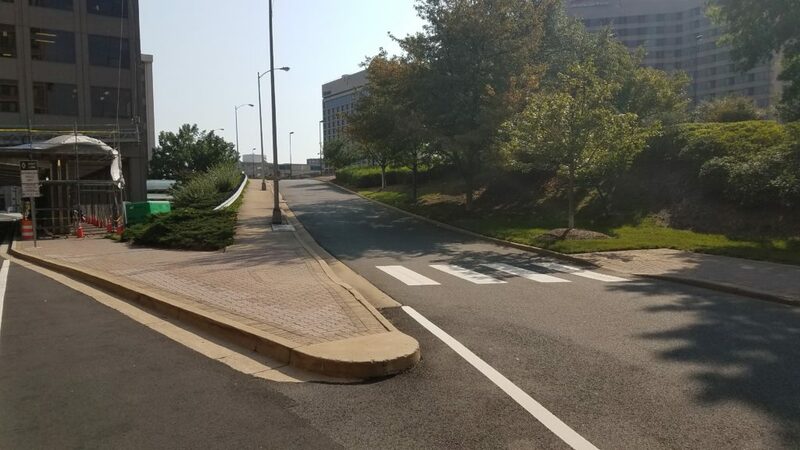 The project will also establish new building pad development sites for redevelopment of Crystal City, with the necessary infrastructure to transform the east side of the US Route 1 corridor in Crystal City. 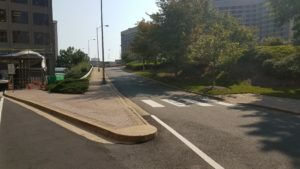 At its Sept. 16, 2017, meeting, the County Board approved a $6.6 million contract with Neuber Environmental Services, Inc., to remove the elevated South Clark Street roadway. The contractor permanently closed the roadway on Feb. 5, 2018. This closed the southbound elevated Clark Street structure between 12th and 20th Streets South, including two ramps and two bridge structures.